The Hotel Riu Tikida Garden Marrakech is located just 3km away from the old town of Marrakech, and allows its guests to enjoy the best of both worlds; a luxurious stay at a magnificent 4-star hotel whilst being able to indulge in rich Moroccan culture at ease with a complimentary shuttle service available. 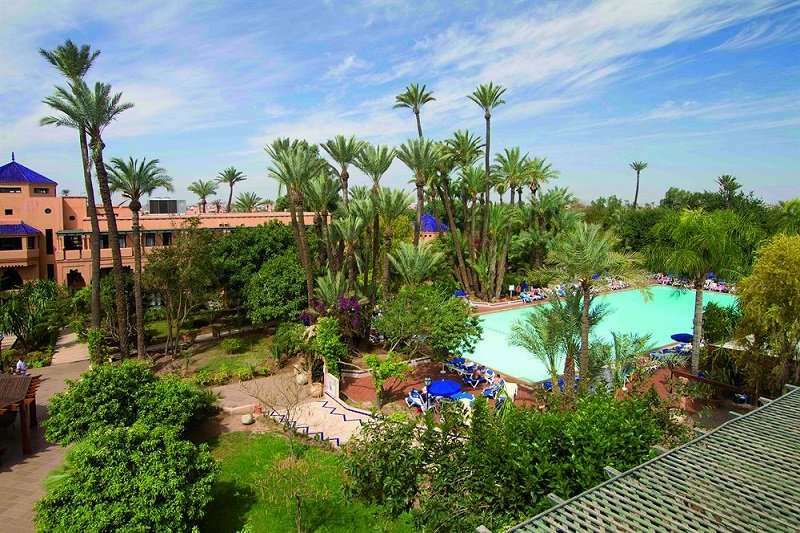 This property boasts a perfect location, offering relaxation in an idyllic atmosphere whilst still being able to explore the key attractions in Marrakech with ease. Just a 10 minute drive away from the old town, this hotel makes an unbeatable option. In the old town, visitors could spend hours marvelling at the stunning architecture of Almoravid Koubba, the oldest building in Marrakech. In the heart of Marrakech, guests can explore the Djemaa El Fna Square, a key tourist spot, rife with entertainers and local merchants. Alternatively, guests can visit the Koutoubia Mosque, Marrakech’s most famous symbol, or the many art galleries and museums. To fully immerse yourself in rich Moroccan history, visit the ancient Saadian Tombs for an unforgettable day out. Golf fanatics will find themselves in paradise at this property with some of the region's best golf courses in such close proximity. The Royal Golf de Marrakech club is just 15 minutes away by car, alternatively the Golf Amelkis course is 20 minutes away. 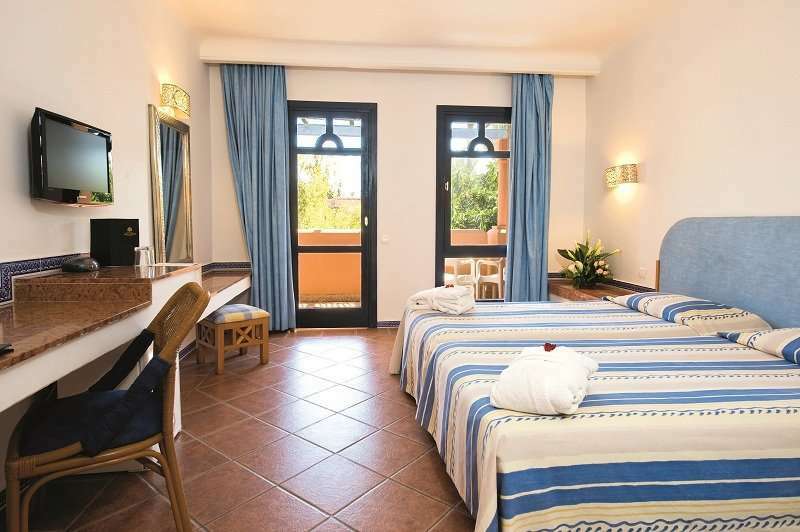 All rooms at the Riu Tikida Garden hotel are spacious and feature private en suite bathrooms. Guests can admire the hotel’s stunning scenery on their own private balcony or terrace. Amenities in rooms include air conditioning, complimentary Wi-Fi, a well-stocked minibar and satellite televisions. With rooms combining a perfect blend of elegance and comfort, guests will have an unbeatably luxurious stay at this hotel. 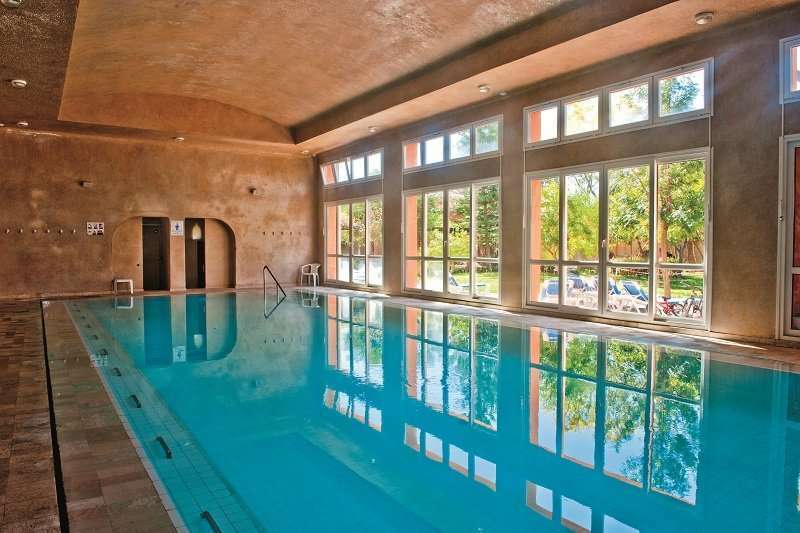 This hotel boasts many fabulous leisure and relaxation facilities including a fresh water swimming pool, a solarium centre, and a fully-equipped gym. For guests to totally unwind, they need not look further than the wellness centre “Tikida Spa” with a sauna, Hammam, indoor pool, Jacuzzi, massages and beauty treatments. The hotel also boasts tennis courts, table tennis, mini golf, badminton, bowls, darts, volleyball and football, ensuring that any non-golfers in your group will never be short of things to do. 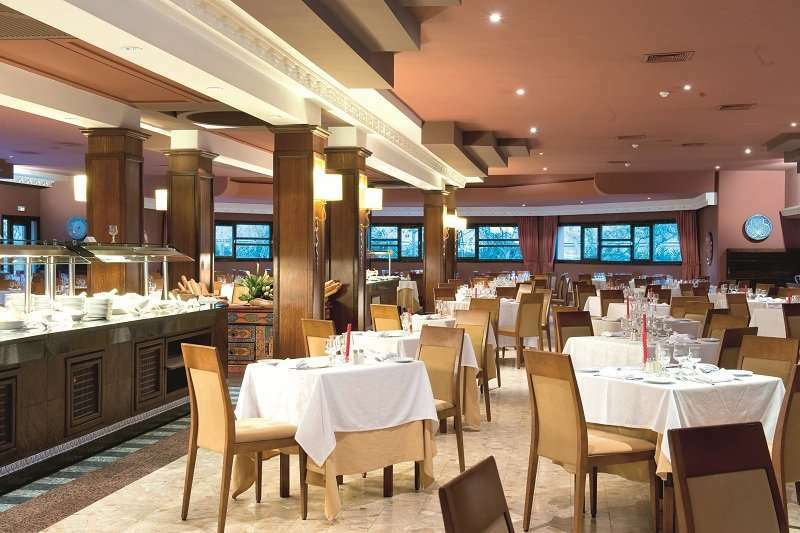 In the buffet restaurant the chefs prepare a wide variety of food, with both Moroccan and International dishes served. 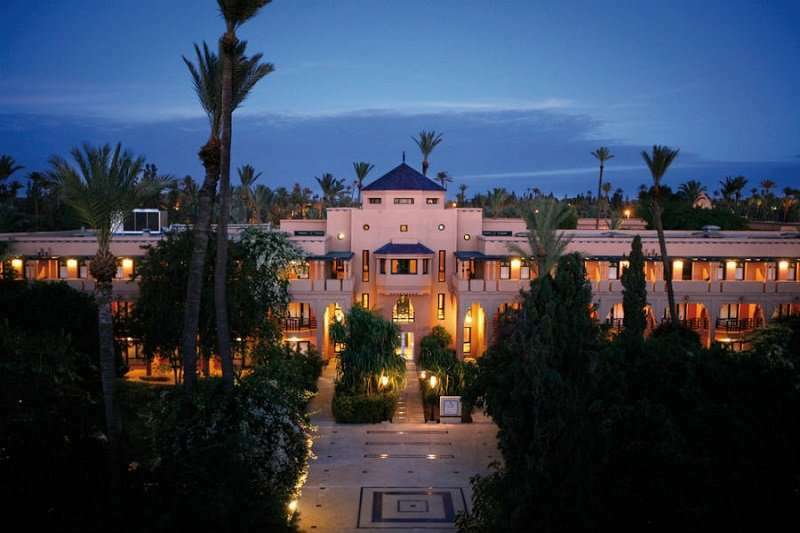 For evening meals as well as the buffet restaurant there is an a la carte restaurant, serving up delectable and authentic Moroccan dishes in a contemporary atmosphere. For a well-deserved glass of fine wine to conclude the perfect day of relaxation, the lounge bar offers an ideal setting.